On Christmas I got from secret santa a really cute sweater, the sweater is pretty light but steal cozy, and for me that’s perfect, because I just need to add a coat on the top and will be all good. 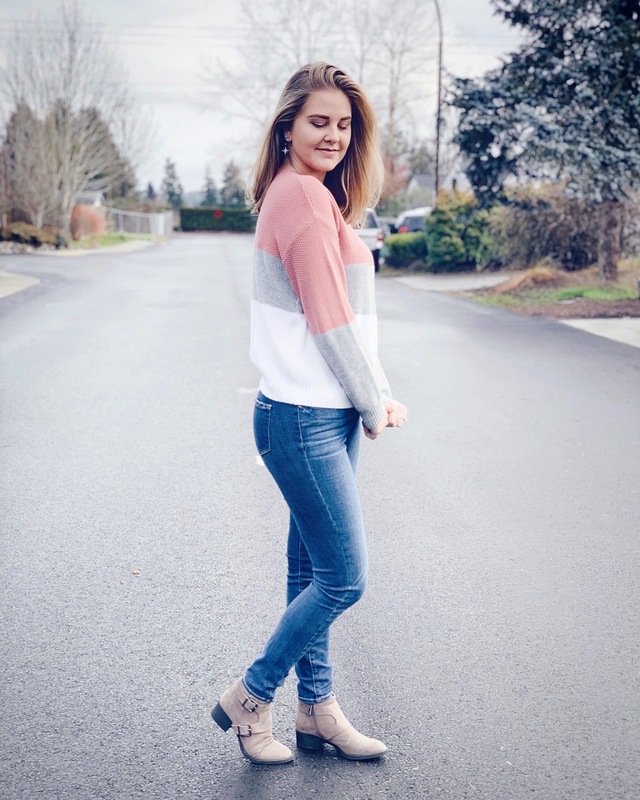 I right away decided to use it, because it is cute and have the color combination I am totally into it and also because sweater are so easy to style and are really nice as a basic look. I was always a big fan of gray clothes, I noticed that the last couple things I bought were in this exactly same color combination: pink, gray and white. Also, if you take a picture with your sweater, tag me(@hellenhensel) on your Instagram, I would love to see how you style yours. I am really into this sweater weather, because it is simple, comfy and practical to use and style. Let me know in the comments how do you like to use sweaters, I would love to know it!